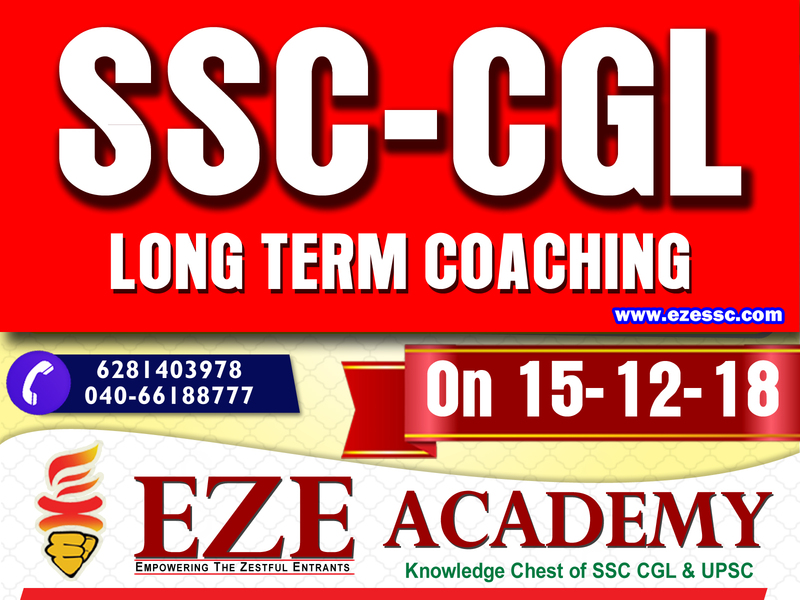 SSC CGL Short Term Coaching only meant for experts ie student who has sound knowledge in GS, MATHS,REASONING and ENGLISH Language. 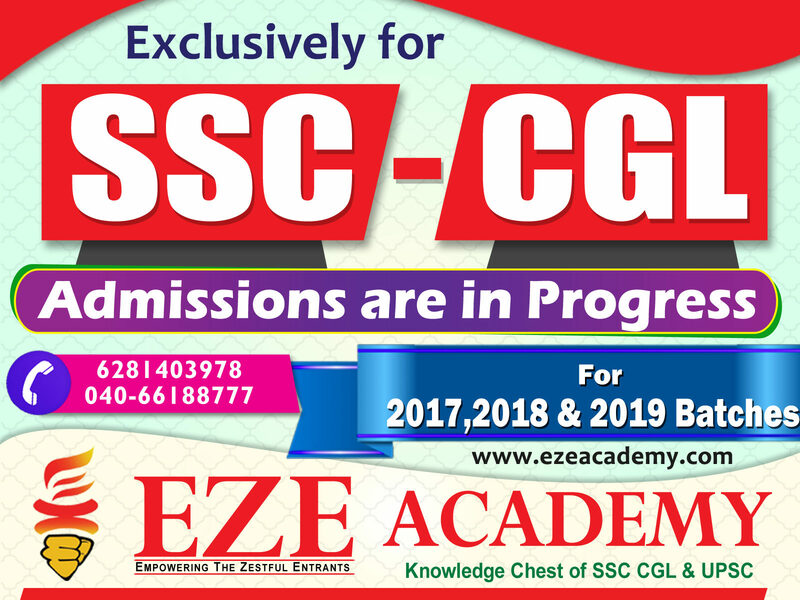 Course Duration is Four Months, During This period our faculty gives a gentle push in their way of approach towards cracking ssc cgl. In the process we provide necessary stuff like material and tests. The Second One is SSC CGL Mini Long Term Coaching This is almost same with short term,only time duration is more than short term coaching, Duration 8 Moths. EZE ACADEMY don’t have any branches, The main intention behind this is not to kill quality, we cannot give same quality staff in all branches. 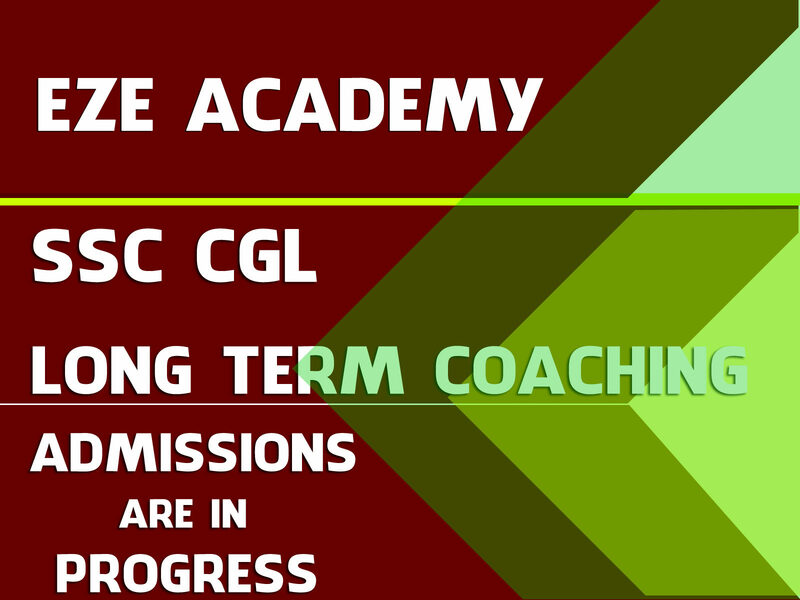 To get best output in SSC CGL Long Term Coaching all the quality staff should be available at one place, there is continuous screening by them. 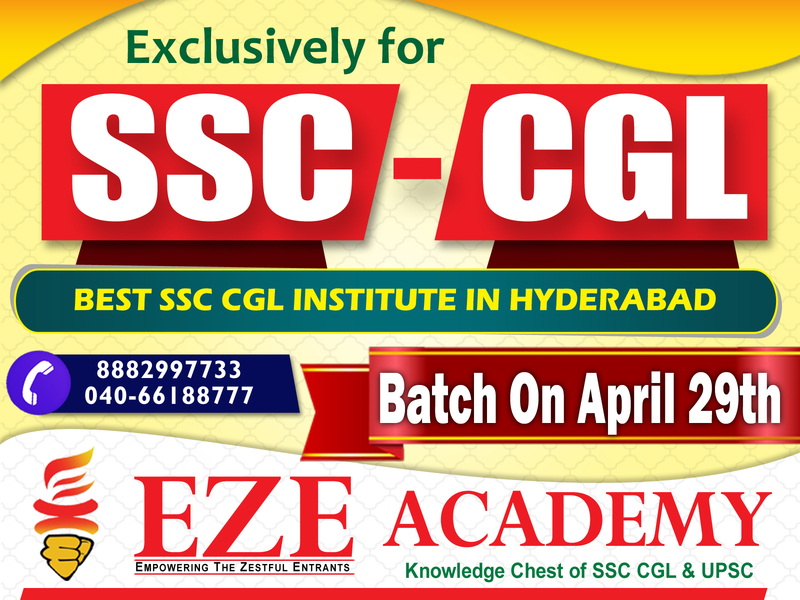 For Long term coaching ,We take only beginners, Who shows enthusiasm to get job in SSC CGL but they do not know what they studied in past, In one word say SPOON FEEDING LECTURE needed for them. we teach them from basic level, every doubt out of the student is clarified, to make a student from beginner to expert is a lengthy process. We need Eighteen months of time to achieve good result.